The splanchnic area receives approximately 25 per cent of cardiac output. The blood supply is rich, not to satisfy the nutritional needs of the gastrointestinal tract but to allow transportation of absorbed nutrients. Therefore the oxygen content of the portal vein is normally quite high. Blood flow to the gastrointestinal tract can be characterized as several circuits coupled in parallel supplying the different parts of the wall. Each circuit contains sections coupled in series—the resistance vessels, precapillary sphincters, capillaries, postcapillary sphincters, and capacitance vessels. The last mentioned vessels contain the bulk of the regional blood volume, while the ratio of pre- to postcapillary sphincters regulates the mean hydraulic capillary pressure and hence the direction and amount of fluid movement across the huge gastrointestinal capillary surface area. The number of capillaries open to flow varies continuously and is determined by the activity of the precapillary sphincters. For example, intestinal capillaries have a much higher permeability than skeletal muscle capillaries. Of the different sections coupled in parallel, the mucosal sections are the most interesting from a functional and structural point of view. Gastrointestinal blood flow is regulated by central nervous and humoral mechanisms as well as by local mechanisms often referred to as 'local metabolites' ( Lundgren 1989). Stimulation of the sympathetic nerves to the gut causes a rapid reduction of local blood volume and an initial sharp reduction of blood flow which, after 1 to 2 min, starts to increase despite continuous nerve stimulation. Blood flow then levels off at an only slightly reduced value. This phenomenon is characteristic of the splanchnic vasculature and is referred to as local escape from central sympathetic vasoconstriction influence. Sympathetic nerve stimulation does not cause any change of regional mean capillary pressure in contrast with the situation in skeletal muscle. Local control (mainly vasodilating in action) often takes precedence over central control (mainly vasoconstricting) in situations when the regional needs for oxygen or removal of metabolites are threatened. During cardiac tamponade and hemorrhage the reduction in gastric and intestinal blood flows tends to be significantly greater than the fall in cardiac output. The renin-angiotensin axis seems to play an important role in this disproportionate gastrointestinal vasoconstriction while the sympathetic nervous systems do not. In sepsis, however, changes in gastrointestinal blood flow tend to follow changes in cardiac output. The vascular supply of the villous region of the small intestine has a very special arrangement ( Lundgren 1989). The centrally located artery supplying each villus does not branch until it reaches the tip, and the blood flow from the tip is directed through a subepithelial network of capillaries and venules. The distance between the two sets of vessels is less than 20 pm, allowing diffusion for easily diffusible substances, i.e. a counter-current exchanger. Although this system probably developed to prevent rapid changes in the water volume of the body, it has significant functional consequences such as hindering blood transportation of absorbed lipid-soluble substances. Therefore large fatty acids are transported by the lymph. It also creates a mechanism for short-circuiting oxygen, causing low oxygen pressure at the tips of the villi. At low blood flow velocities (e.g. generalized mucosal vasodilation caused by reduced arterial blood pressure), more time is available to create a diffusion equilibrium between the contents of the ascending and descending limbs of the villous vascular loop. This situation may cause an almost anoxic situation at the tips of the villi despite fairly well maintained blood flow volumes. Mucosal injury is not only caused by hypoxia but also by reperfusion. Indeed, reperfusion injury as a concept was first demonstrated in the small intestine. Reperfusion causes increased generation of oxygen radicals, initially mainly by the hypoxanthine system. Endothelial injury caused by these oxygen radicals activates polymorphonuclear leukocytes, exacerbating tissue injury through microcirculatory disturbances. The gastrointestinal tract may compensate for reduced blood flow delivery by increased oxygen extraction. This can be effectively achieved down to a blood flow of about 50 per cent of normal (Bulkley..., eta/ 1986). However, this takes place at the expense of liver oxygen delivery; the liver becomes hypoxic very rapidly if the hepatic arterial supply cannot compensate for the reduced portal oxygen delivery. Because of this compensatory mechanism, oxygen consumption of the gut remains normal over a wide range of blood flow. In sepsis, however, oxygen comsumption is increased by 50 to 70 per cent. Thus normal splanchnic blood flow does not guarantee adequate intestinal mucosal oxygenation (AD.tPns.son.. ,§L§.L 1995). 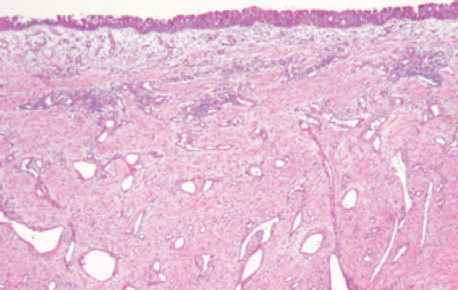 At the same time the small intestinal mucosa is quite susceptible to hypoxic injury, ranging from increased mucosal permeability to loss of the villous layer ( Hag!uD.d„1.99.3). As a consequence, the barrier function between intraluminal contents, which may be infected to some extent, and the supposedly sterile interior is lost. Small intestinal mucosal injury may also cause release of toxic materials such as cardiotoxic factors, aggravating the shock state. Mechanical small intestinal obstruction causes increased intraluminal pressure and intestinal distension. Severe and prolonged intestinal obstruction increases the intraluminal pressure and causes reduction of intramural blood flow and a significant reduction in the number of perfused capillaries. This is particularly obvious during intestinal contractions when intraluminal pressure can be extremely high. Absorption of intraluminal fluid in the small intestine, which is of the order of 5 l/day or more, becomes significantly impaired by increased intraluminal pressures; intestinal absorption may eventually be converted to net secretion. Thus obstruction of the small intestine constitutes a significant threat to homeostasis.